Courtesy of RETHINK Real Estate. Cul-De-Sac home with mountain views on 1/3 of an acre with a hard-to-find 4 car garage. … Enjoy a backyard with BBQ island, pool and spa with waterfall. Split master has cozy fireplace and his/hers organized walk-ins. 2 guest wing bedrooms are joined by Jack ‘n Jill bath. 1 guest bedroom has organized walk in closet. A kitchen to delight any gourmet with double ovens, smooth top range, subzero fridge, huge walk-in pantry, big work island with breakfast bar, all granite including back splash. Family and living rooms are joined by a stylish wet bar. Family room has a custom gas fireplace. Courtyard entry, citrus trees, RV gate w/extra slab and storage shed with electric. Carpet, interior and exterior paint, Cool Decking all new in April 2019. Hurry! Directions: North on 55th Avenue. West on Pinnacle Hill. North on 55th Drive. West on Camino Vivaz to home. Approximate size: 16994.00 sq. ft. Please, send me more information on this property: MLS# 5907198 – $595,000 – 5542 W Camino Vivaz –, Glendale, AZ 85310. 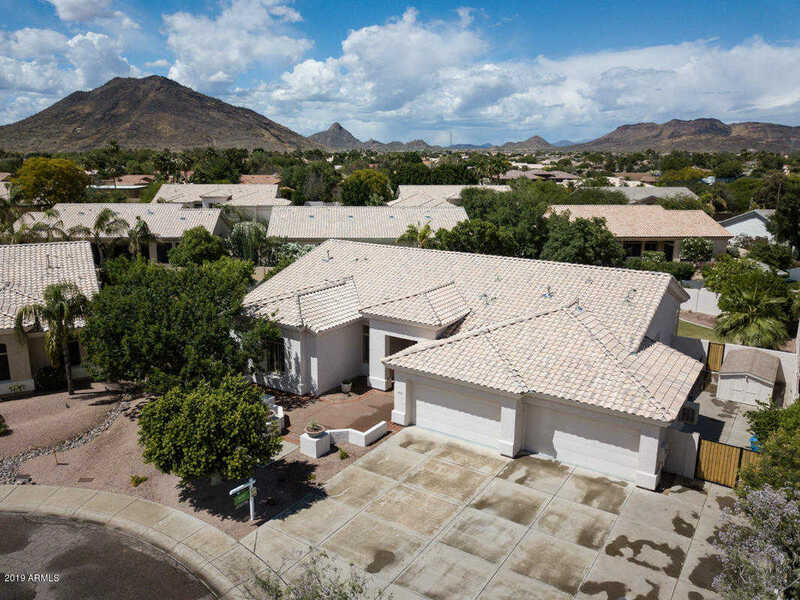 I would like to schedule a showing appointment for this property: MLS# 5907198 – $595,000 – 5542 W Camino Vivaz –, Glendale, AZ 85310.